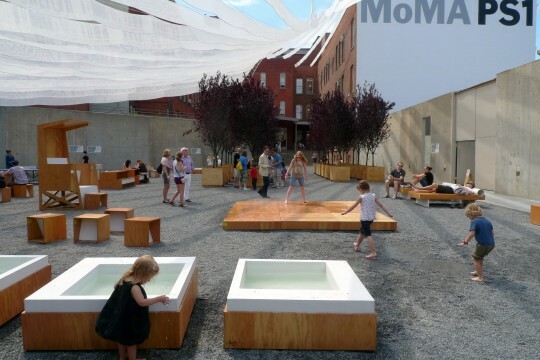 Though a commission from MoMA PS1 might seem out of place in a panorama of mostly unsolicited interventions, Interboro Partners saw Holding Pattern—the winner of the 2011 Young Architects Program—as a framework to make more than 40 neighboring businesses and groups their actual client. The Brooklyn-based design studio shifted their project’s focus from temporary installation for the museum’s summer music series to long-term neighborhood gain. Interboro began by meeting with close to 200 neighborhood institutions including schools, senior centers, public housing projects, libraries, a post office, and various local businesses to develop a wish list of things for the neighborhood. 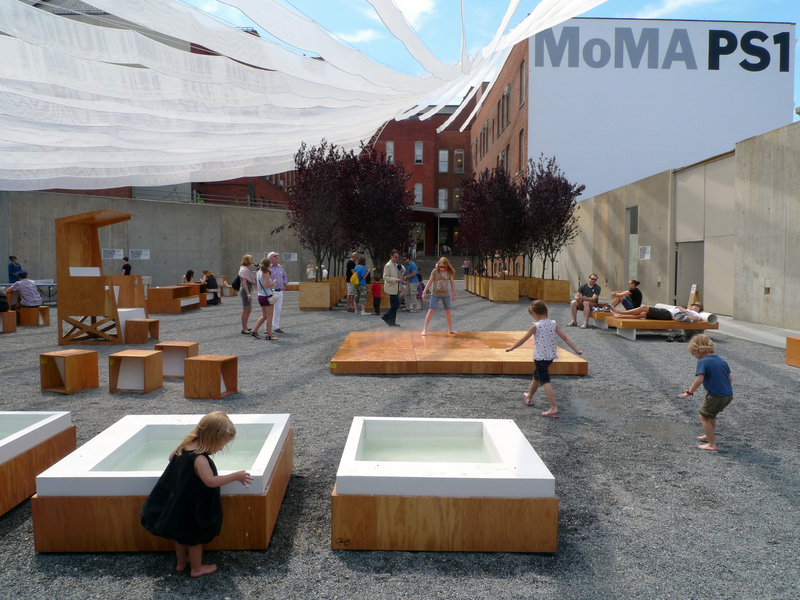 The team then worked to design the elements of the installation at PS1 to both create a unique spatial experience at the museum and meet the local institutions’ needs. The resulting project, Holding Pattern, assembled eclectic objects like benches, trees, playground equipment, mirrors, flood lights, chessboards, and ping-pong in a shady and dynamic space for the series. And after the museum series ended, its parts were redistributed, with 79 objects and 84 trees were donated to more than 50 community organizations.